Shopping and budget are two words that don’t go hand in hand. Or do they? If you attempt to budget and then slip back into old spending habits, you are not alone. Old (spending) habits are hard to break! However, it is possible to both be a spender and accomplish the goal of shopping on a budget. Once I started using different strategies for shopping on a budget, it was easier to stick to it. These strategies are simple but effective for shopping on a budget when you’re a spender. Your mind is where everything, good or bad, starts to happen. Whatever you think creates a feeling, and that translates into your actions. If you start to think about a shopping on a budget as a way to improve your finances, your actions will follow. This mindset will get you much further than viewing a budget as a burden. Your mind, not your income, is the most powerful resource you have when it comes to sticking to a budget. Getting in the mindset of shopping on a budget will lead to results! Years ago, I worked in a retail store in our community that was always open on Thanksgiving Day (long before others started doing it). Between 3:00-6:00, it seemed like every single person in our town was in that store. I believe the store was full because people were done with lunch and were simply bored! We spend more money when we don’t plan to go shopping but still find ourselves in a store or on an online shopping site. Planning ahead to shop helps avoid random shopping and impulse buys. The same is true for trips to the grocery store. When you plan your grocery store trip and go with a list, you are much more likely to stay within a budget. If you feel like you just have to go shopping and it’s not planned, then check out a thrift store in your community. These stores are great for your community and your budget. I know many people, myself included, who find it fun to see what kind of bargains and unique items turn up in a thrift store! “One click” shopping makes it very convenient to make an online purchase. The retailers know that too, which is why they make it as simple as possible for us to make a transaction. Take saved numbers off of your accounts, which makes you take more time to think about whether you really want to make a purchase. Another way to make it harder to blow the budget is to just stay busy with hobbies and experiences that don’t cost a lot of money. Explore free activities in your community or get the whole family on board with a no spend month. People have a hard time sticking to a budget because they associate it with “chains” instead of freedom. They think I work hard for my money and I want to spend it on whatever, whenever. A budget takes that away from me. I thought that same way until it transformed my financial situation. So let’s trick our minds! Don’t call it a budget! Instead, call it [Insert your first name]’s SPENDING PLAN. Doesn’t that sound better? The great part about it is that it works the same way. Sometimes just a little play on words can shift our minds to a more positive, motivating action. Do you walk into a closet full of clothes and say “I don’t have anything to wear” or open a full pantry to say “I don’t have anything to eat”? Yet both the closet and the pantry are overflowing with choices! We just don’t like the choices. However, when you see the possibilities with what you already own, you are much less likely to shop for the sake of shopping. Decluttering and getting organized are also ways to see the possibilities with what you already own and come with the bonus of a more organized space! If you are quick to spend cash, and it really does “burn a hole in your pocket” then don’t carry cash! The opposite is true, if it’s way too easy for you to use a credit card and you would have a harder time letting go of cash, then carry cash. Let’s say you go for Starbucks at least four times each week. You know that could be money saved, but you do not want to let go of the latte (no blaming, I promise!) So, keep the Starbucks… but go twice each week. This is another way to ease into a budget and reward yourself for small wins. Some strategies come from simply knowing your habits and setting yourself up for successful spending. The next month, tell yourself “I’m going to keep my receipts from the grocery store and restaurants all in one space.” Good enough! By focusing on one area to make it easier, you are building a budget step by step. Before long, you will have everything in one place. The key to all of it… just start! If you need a resource to get started, the best tool I’ve found online is the 90 Day Budget Bootcamp. It was developed by someone who started step by step and teaches others how to do the same. 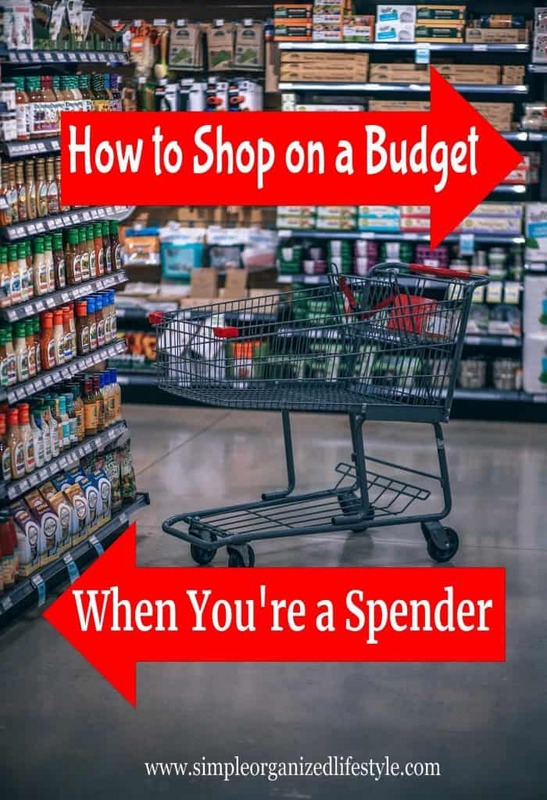 It is possible to be a spender and also shop on a budget. 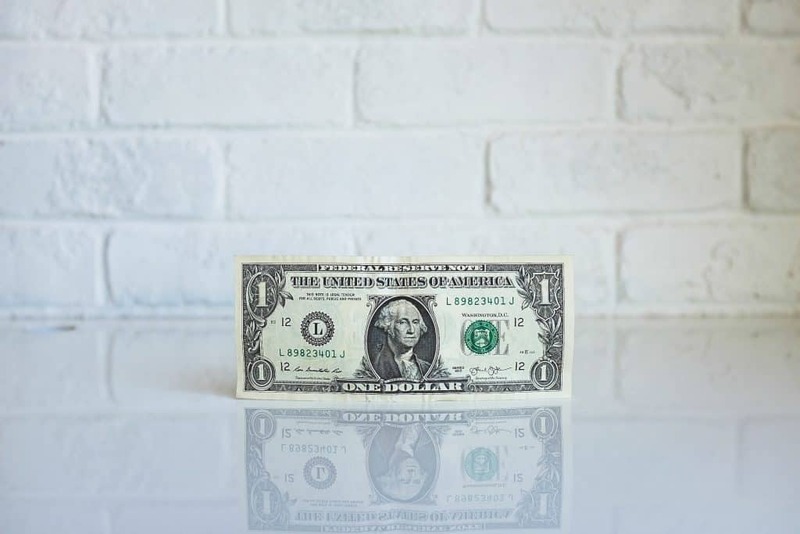 These strategies are simple but effective for sticking to a budget spending plan and setting yourself up for success! I love all of these tips!! I don’t save payment info either. If I’m not willing to go through the hassle of typing my account number, etc out, than the purchase is definitely not worth it.